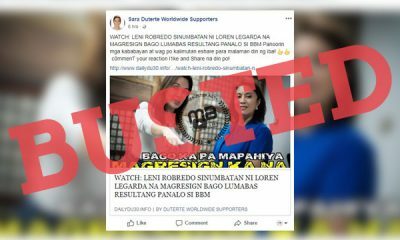 After reports surfaced about how Facebook tapped Vera Files and Rappler as its partners in fact checking everything that goes on the social media site, one Diehard Duterte Supporter urged her fellow DDS to shut their Facebook accounts down and move to a Russian social media website. 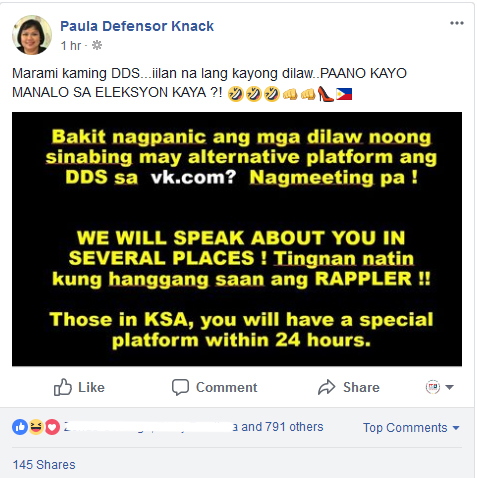 Paula Defensor-Knack, the younger sister of the late Senator Miriam Defensor-Santiago and avid supporter of President Rodrigo Duterte, took to Facebook on April 13 to post detailed instructions for her fellow DDS to deactivate their Facebook accounts and migrate to Russia’s version of Facebook, called VK.com. 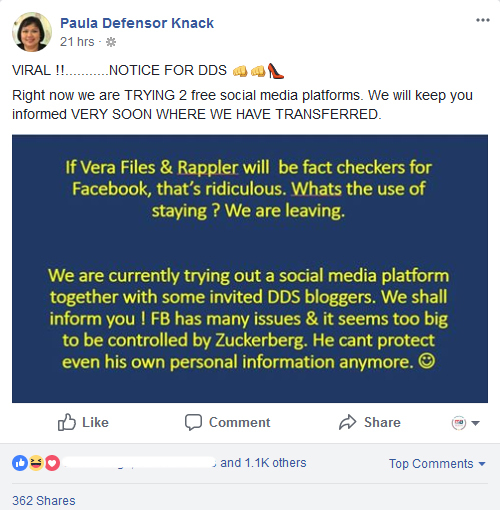 “Deactivate your accounts on FB only… so that you get the uncensored truth from us in VK.com and fight again in the rest of social media,” Knack wrote. 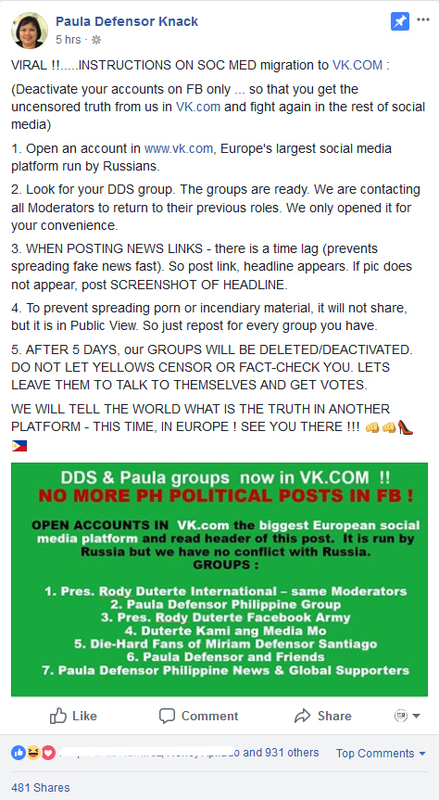 She then listed down all five steps that the DDS have to follow to complete the move to VK from Facebook. 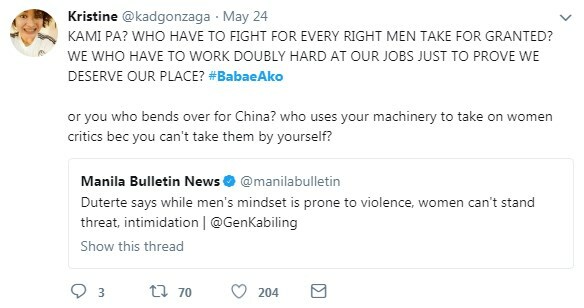 She wanted them to sign up for a VK account and find their DDS group, warned them about the lag in posting links on VK and how posting of pornographic materials are not allowed, and gave them a deadline of five days before all of Knack’s and other DDS groups on Facebook will be deactivated. 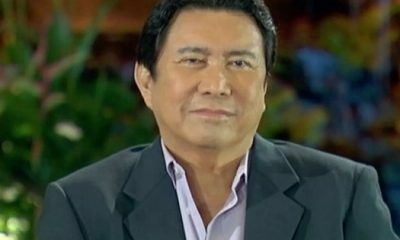 “After 5 days our groups will be deleted/deactivated. 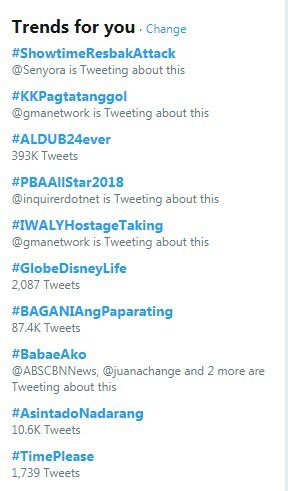 Do not let yellows censor or fact-check you. 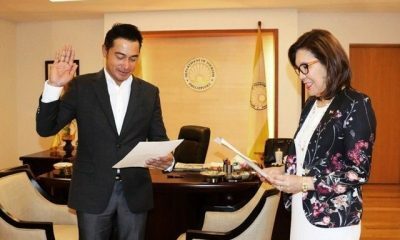 Lets leave them to talk to themselves and get votes,” Knack wrote. 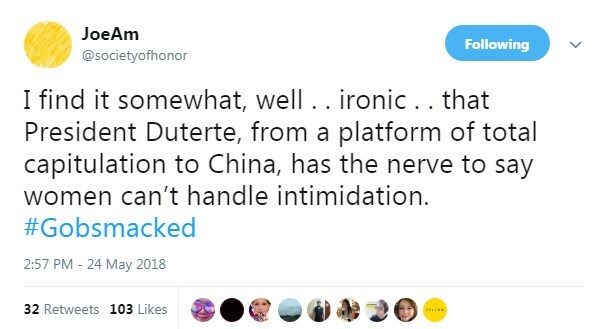 “We will tell the world what is the truth in another platform – this time, in Europe! See you there!! 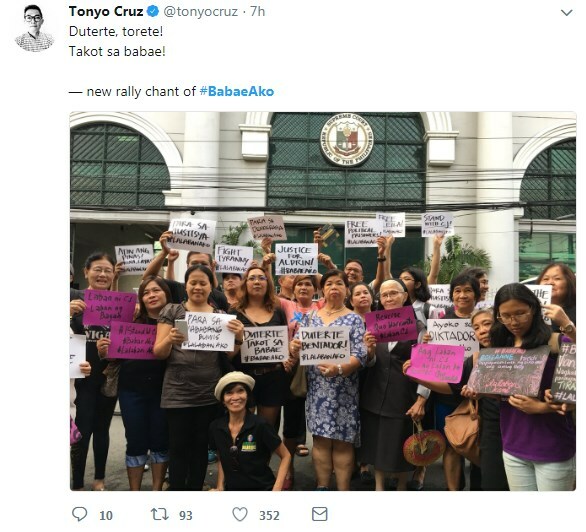 !” she added. 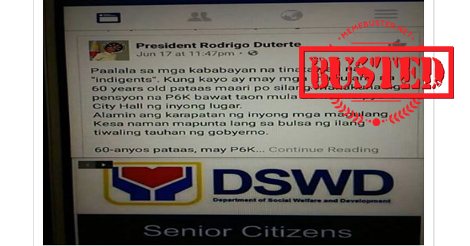 Hours after the instructions for the migration to VK, Knack once again taunted the Liberal Party, while emphasizing how many DDS there are. 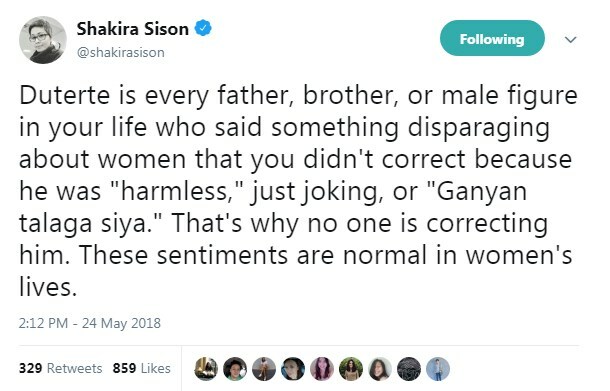 In the same post, she also said that those living in the Kingdom of Saudi Arabia (KSA) within 24 hours of the announcement. 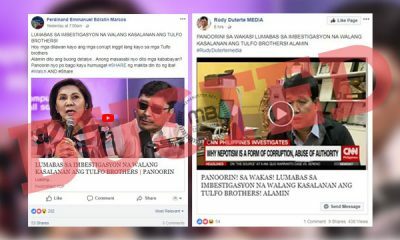 Both of these Facebook posts came hours after Knack took to Facebook to criticize its move to partner with Rappler and Vera Files for fact-checking. 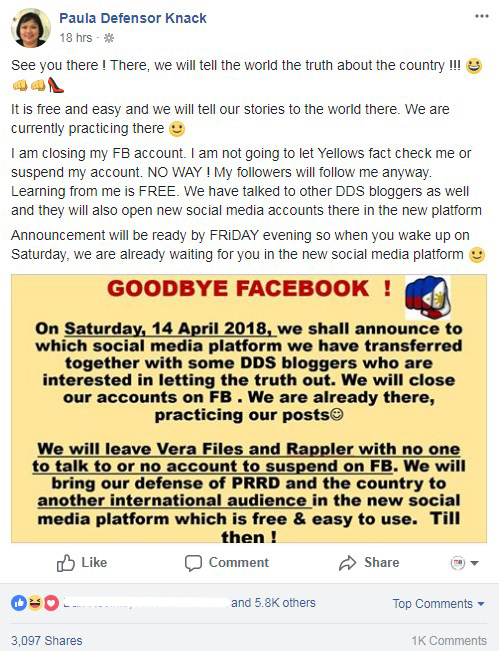 “We will leave Vera Files and Rappler with no one to talk to or no account to suspend on FB. 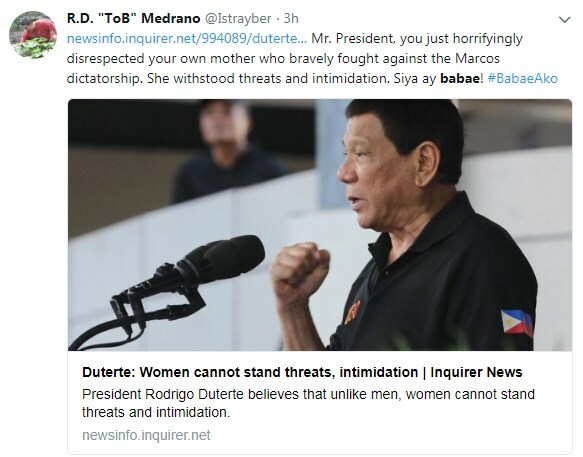 We will bring our defense of PRRD and the country to another international audience in the new social media platform which is free & easy to use,” she wrote. 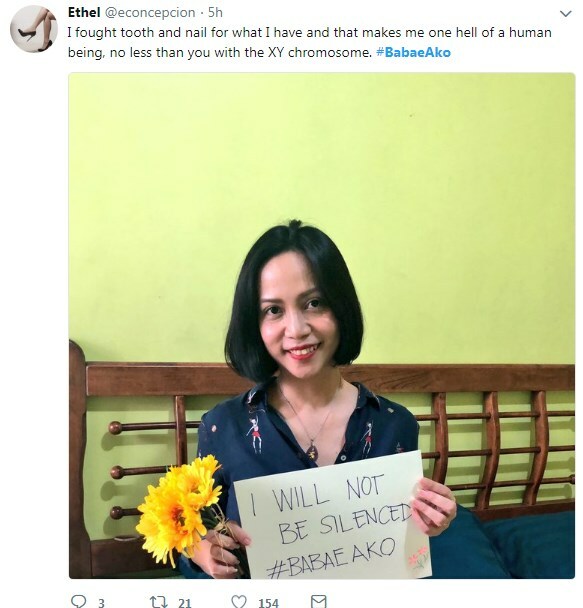 Meme Buster has written several stories debunking fake stories and has found that some of them were shared by Knack herself. 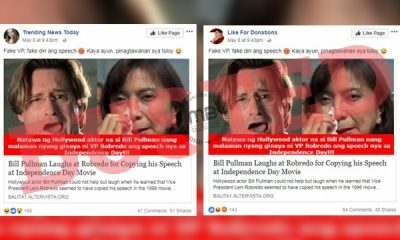 Knack shared a meme that made it seem as though Senator Risa Hontiveros flaunting her achievements, but it turned out to be a fake. 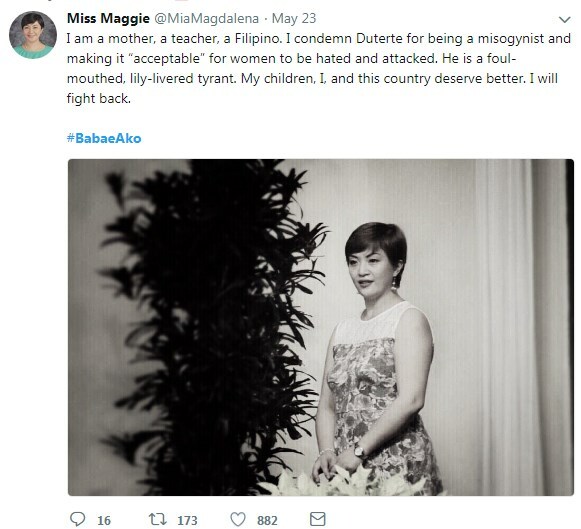 She also shared that fake claim by a former Arroyo official about how the Magdalo group was allegedly connected to the Maute terrorists, something that even the defense chief denied, Aguirre’s misleading 2015 throwback photo of opposition lawmakers in Marawi, Senator Antonio Trillanes IV getting abandoned by Zambales crowd, and the photo of a man falsely accused as the cop who shot teenage victim Kian delos Santos and having a selfie with Robredo. 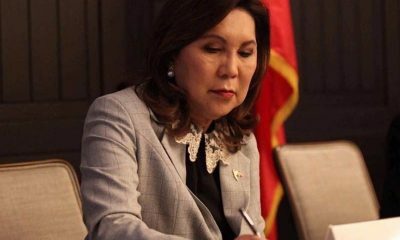 In 2017, just like Communications Asec. 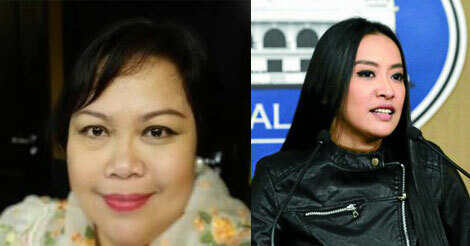 Mocha Uson, Knack also dared people to send the media and support to a wake of a cop who died in 2016. 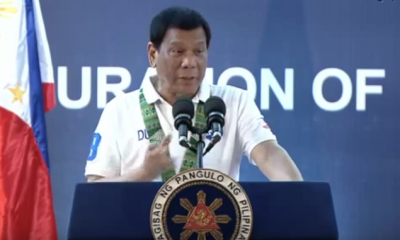 On April 12, Facebook announced its partnership with Vera Files and Facebook to launch a fact-checking program in the Philippines to “reduce the reach of false news stories on Facebook, check their facts, and rate their accuracy,” according to Clair Deevy, Facebook Director for Community Affairs for Asia Pacific. 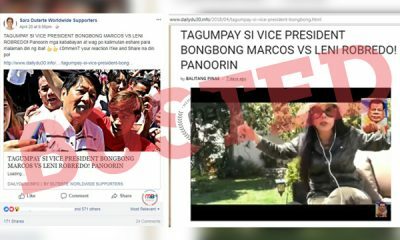 Rappler and Vera Files will review stories flagged as fake news. 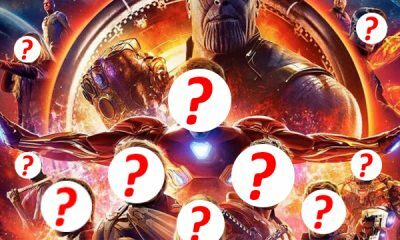 Those that will be identified as such will be put lower in the Facebook News Feed and be less visible. 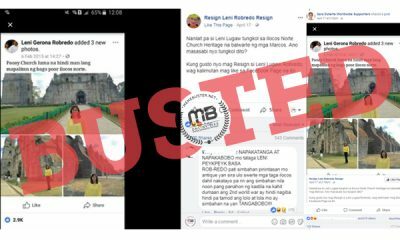 Facebook users who will try to share the story will receive a notification that the story has been identified as false. 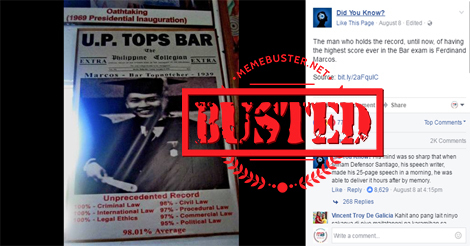 Related articles will also be written about the fake stories to explain why they were flagged as such. 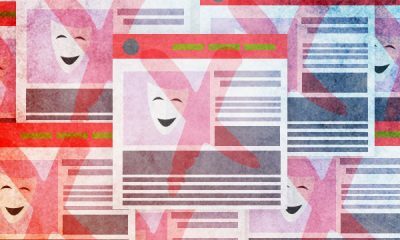 Pages that will continue to stubbornly tell the story will have reduced post distribution and lesser ability to monetize their content.